Here at the law office of David M. Kindopp in Ukiah, California, we are fully prepared to assist you with virtually any civil legal issue affecting your life, your family, your business and your future. 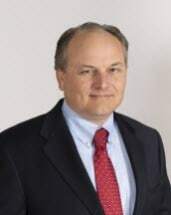 Our founder and principal, attorney David M. Kindopp, has earned a reputation for providing zealous, thorough legal counsel, and we promise to work closely with you throughout all legal proceedings to protect your rights and interests and help increase your chances of obtaining the favorable outcomes you expect and deserve. A local attorney, Mr. Kindopp has invaluable knowledge about our local laws and procedures, enabling him to help you find the solutions you seek efficiently. From this commitment to those we serve, we have earned many five-star ratings from our clients as well as recognition from our peers, and we are proud to be able to help so many in their time of need. To find out more about how David M. Kindopp can best help you face your legal challenge head-on and secure a brighter future for yourself, your family or your company, we invite you to contact our law office to schedule a consultation.